Fiamma Carry-Bike suitable for Hymer/Dethleffs range of Motorhomes. 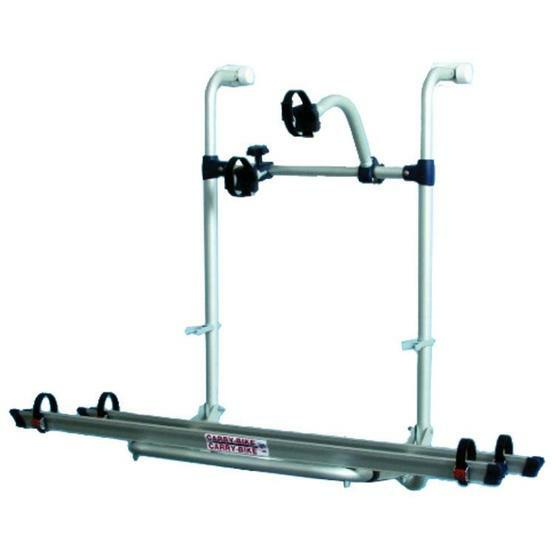 Comes complete with 2 rails and 2 bike blocks with the option to adapt and carry up to 4 bikes. New Version of Carry-Bike Hymer with innovative design. Bike carrier Pro in Blue version, suitable for the Hymer motorhomes with preinstalled upper fixing brackets. 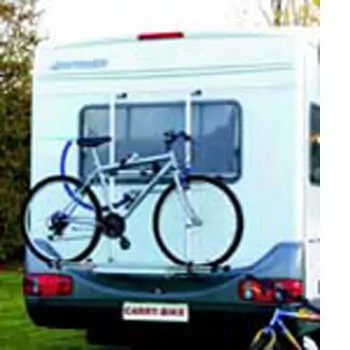 The Fiamma Carry-Bike Hymer-Dethleffs Motorhome Bicycle Carrier has a highly adjustable vertical rail, allowing for better stability. With the Fiamma Zoom-4-Bikes patented strengthened rail support, you can also add two additional Fiamma Rail Quick rails, carrying up to four bikes. With pre-installed upper fixing brackets suitable for Hymer and Dethleffs motorhomes. Standard delivered: : 2 Rail Quick 126 Blue, Bike-Block Pro Blue 1 and 3 and 2 Rack Holders. 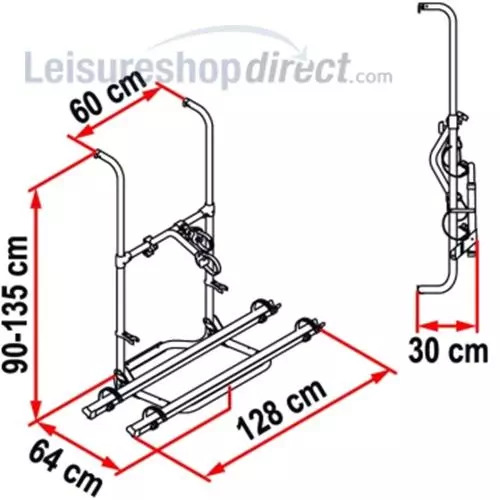 Maximum load : 4 bike carrier (60kg). Flexible mounting positions : from 80 cm to 135 cm.